The Canadian mining giant Teck Resources Ltd. had admitted in U.S. court the the effluent from its smelter in southeast B.C. has polluted the Columbia River in Washington for more than a century. The agreement, reached on the eve of the trial initiated by the Colville Confederated Tribes, stipulates that some hazardous materials in the slag discharged from Teck's smelter in Trail, B.C., ended up in the Upper Columbia River south of the border. "Trail discharged solid effluents, or slag, and liquid effluent into the Columbia River that came to rest in Washington state, and from that material, hazardous materials [under U.S. environmental laws] were released into the environment," Dave Godlewski, vice-president of environment and public affairs for Teck American, said in a telephone interview. "That's what we've agreed to. We've not talked about the amount of the release. We've not talked about the impacts of those releases. We've just agreed that there has been a release in the U.S."
Teck said the agreement is expected to lead to a court judgment in favour of the plaintiffs. However, the court has yet to decide the extent of any injuries that may have resulted and what — if any — damages the company will have to pay. The lawsuit brought by the Colville Tribes eight years ago was to begin Monday. They claim Teck dumped [131,000 tonnes] of slag containing arsenic, cadmium, copper, mercury, lead and zinc directly into the river. They claim those wastes have contaminated the surface water, ground waters and sediments of the upper Columbia River and Lake Roosevelt, the reservoir created by the Grand Coulee Dam. The Colville reservation of almost 5,700 square kilometres borders the Columbia River. The U.S. Environmental Protection Agency joined the lawsuit as an intervenor. The cost of cleaning up the contamination has been pegged as high as $1 billion, and the state wants Teck to bear that cost. In 2004, the EPA ordered Teck to conduct studies on the effects of heavy metals from the Trail smelter south of the border. Teck fought that order to the U.S. Supreme Court, which refused to hear their case. In the meantime, Teck entered a voluntary agreement with the EPA in 2006 to begin studies. Those assessments, which will determine the question of legal liability and damages, continue and are expected to be complete by 2015. "It will assess what the real risk to human health and the environment is, and ultimately if that risk is unacceptable to the EPA... how will we mitigate those risks," Godlewski said. 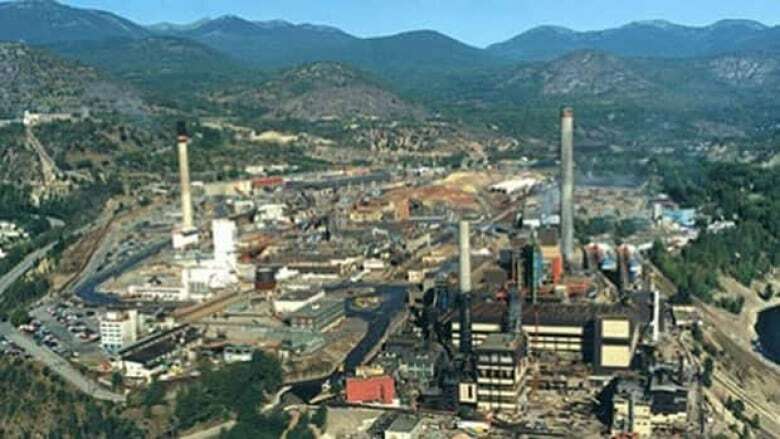 Teck said it has spent millions of dollars improving the operation in Trail, about 10 kilometres north of the border, and today, metals from the smelter are lower than levels that occur naturally in the river. The company "estimates that the compensable value of any damage will not be material," said a statement issued Monday. Teck says current studies have shown water in the Upper Columbia River meets the quality standards in both Canada and the U.S., beaches are safe for recreational activities, and fish in the river are as safe or safer to eat than fish in other waterways in the state of Washington. No one from the Colville Tribes or the EPA was immediately available for comment. The company said Teck and its predecessors were operating within all regulations in place in Canada at the time.